NO TICKETS NECESSARY! ADMISSION IS PAY WHAT YOU CAN. Just show up and grab a seat on the benches or the stairs of the monument. We do have cushions on a first come, first serve basis. Shows begin at 6:30pm so we recommend arriving to the monument no later than 6:10pm to ensure a good seat. You may bring your own folding chair, but be forewarned, there is very limited space for folding chairs. We are WHEEL CHAIR ACCESSIBLE! Please email us at Hudsonwarehouse89@gmail.com one day before the performance so we can make accommodations. Our performance space is behind the Monument when entering the park from West 89th Street. Our performances are typically under two hours. There is no intermission. Dogs are allowed, but we ask you to sit at the top of the monument if you bring pets. "We congratulate Hudson Warehouse on their thirteenth year presenting classics to the public in Riverside Park. 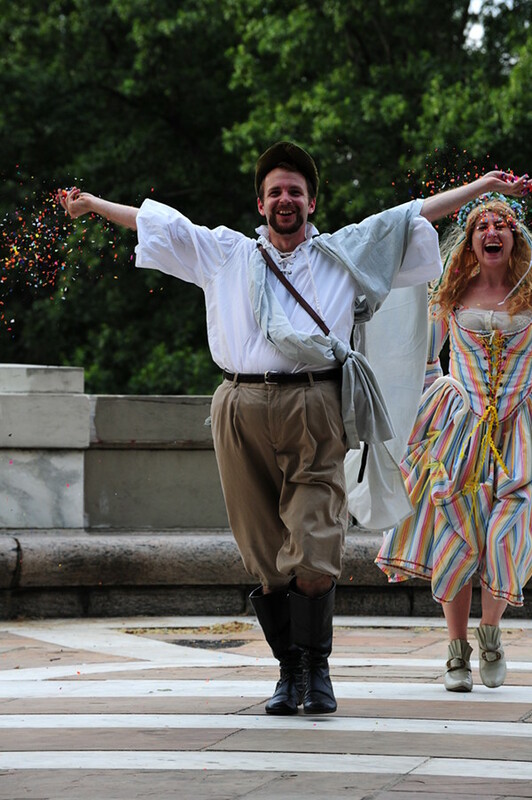 We are thrilled that they have made their home with us and hope they will continue to enchant Riverside Park's neighbors and all other guests with their theatrical mettle for years to come." "The company's creative use of the setting at Soldiers and Sailors Monument was outstanding." Take the 1 train to the 86th Street stop. Walk 3 blocks north on Broadway and take a left onto West 89th Street. Walk 2 blocks to Riverside Drive and follow the walkway around the monument to the North Patio. Take the 2 or 3 train to the 96th Street stop. Walk south on Broadway. Take a right on West 91st Street. Walk two blocks to Riverside Drive. Turn left onto the walkway as you enter Riverside Park and follow that to the Monument. 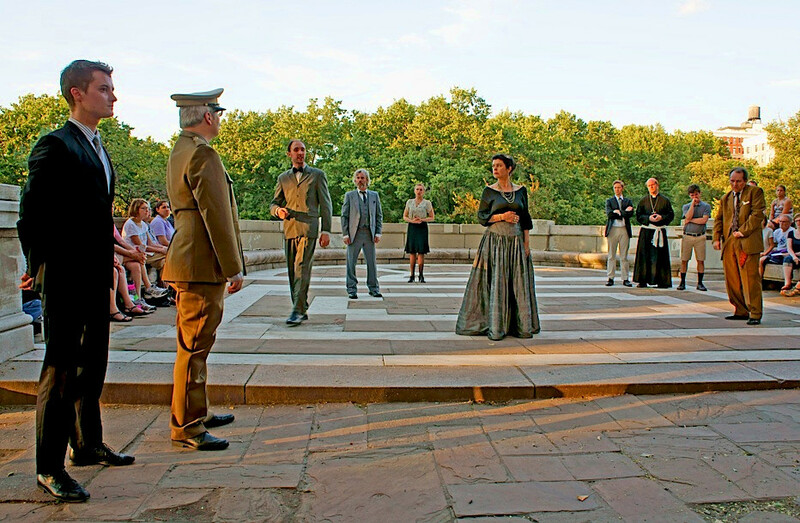 You can find us from June through August performing on the North Patio of the Soldiers' and Sailors' Monument in Riverside Park, at West 89th Street and Riverside Drive.